Very often the surrounding conditions only allow a mobile and flexible intrusion protection especially in sensitive areas like mobile camps for police or military forces, industrial and / or private sectors where no mains supply is available. The PKI 9615 is the smallest device available in the world-market for IR motion detection. 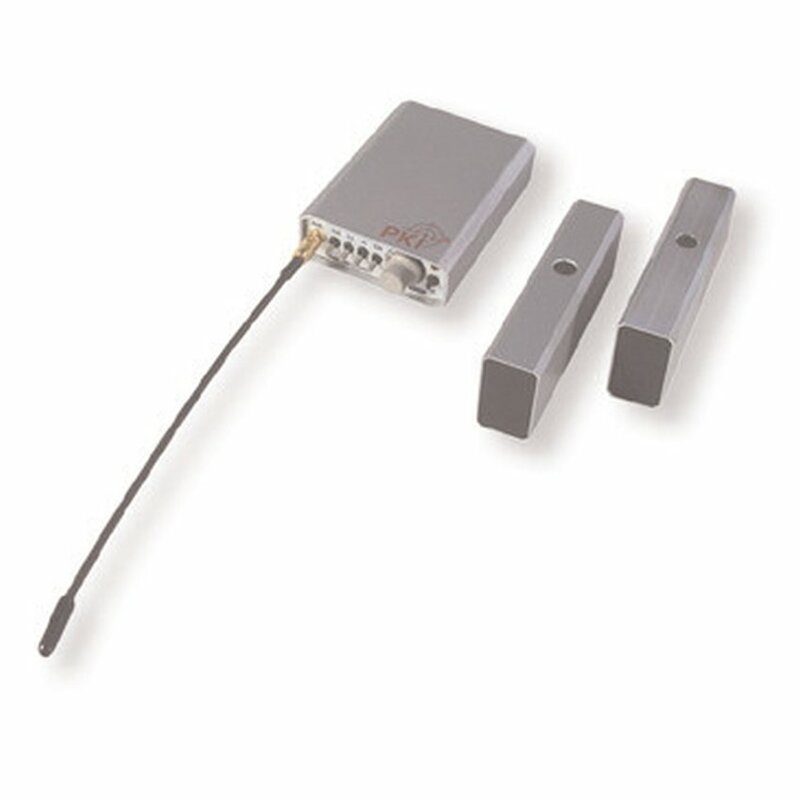 Consisting of palmsized transmitter and receiver, the PKI 9615 secures an area with a diameter of up to 70 m against unauthorised intrusions. If a person crosses the invisible beam between transmitter and receiver, a radio-controlled acoustical and visible alarm signal is given to the receiver (pager). Optionally, this signal can also be transferred to a mobile phone by means of an interface.